Hang out with Disney Belle's pony, Petite, at her Royal Stable! Win the show jumping trophy and present it to her on the podium. Then it's time to relax with a cup of tea and a good book... but not for long. Petite has been invited to a celebratory tea party—use the shampoo bottles to pamper her until she's ready to go. 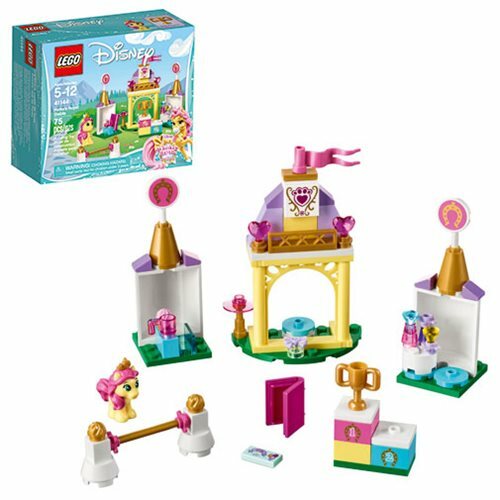 The LEGO Disney Princesses 41144 Petite's Royal Stable includes 75 pieces. Ages 5-12.